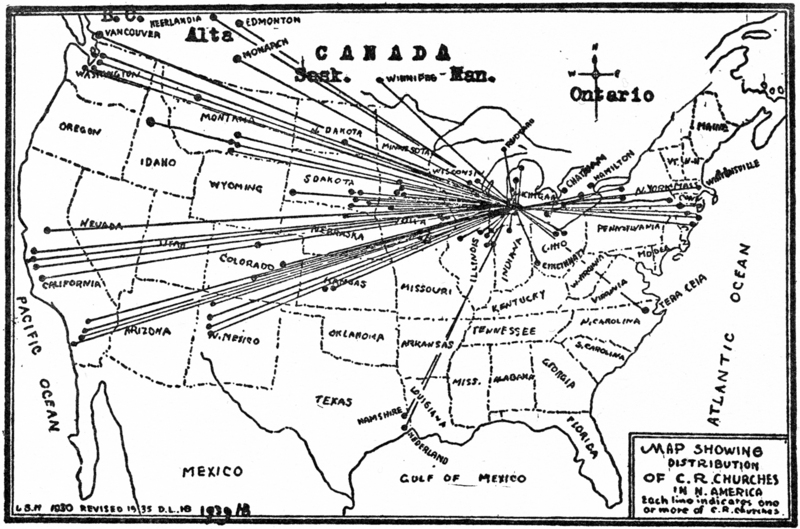 The United Reformed Churches in North America (URCNA) are a peculiar lot. 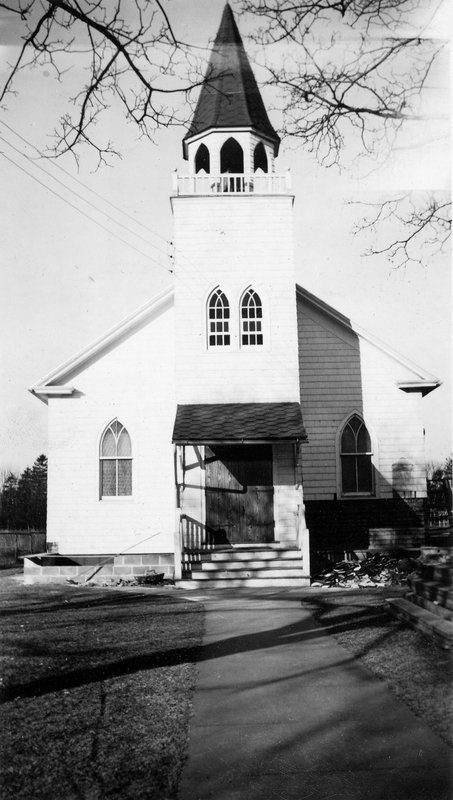 In age, our churches range from a hundred and fifty years to merely a few months. In size, some have only a few dozen members, while others have close to one thousand. In background, their ministers and members hail from Dutch Reformed, German Reformed, Presbyterian, evangelical, and Roman Catholic backgrounds, just to name a few. For all these differences, we still choose to identify ourselves with the term “United.” The glory of the Church is that we, though many members, are one body through Christ’s blood (I Cor. 10:17). It is he who “ransomed people for God from every tribe and language and people and nation, and . . . made them a kingdom and priests to our God” (Rev. 5:9, 10 ESV). Unity, we confess, does not require homogeneity; Christ’s Church comprises many members from different backgrounds who are called to serve different functions for the edification of the whole body. Within the broad dome of the Church universal stands the URCNA, as a group of believers with common convictions about how God desires to be worshiped according to his Word. Our congregations have entered into this covenant together: “The churches of the federation, although distinct, voluntarily display their unity by means of a common confession and church order. This is expressed as they cooperate and exercise mutual concern for one another.”1 Seeking to honor the Apostle Paul’s command that all things in the churches be done decently and in good order (1 Cor. 14:40), we agree to uphold this specific kind of unity by upholding common principles of government. However, believing the same things does not always mean that we practice the same things. For a variety of reasons, the particulars of worship in the URCNA differ from congregation to congregation: the format of the liturgy, the proportion of psalms to hymns, the length of the sermon, and so on. Germane to the focus of URC Psalmody, the songbooks each church utilizes vary as well. 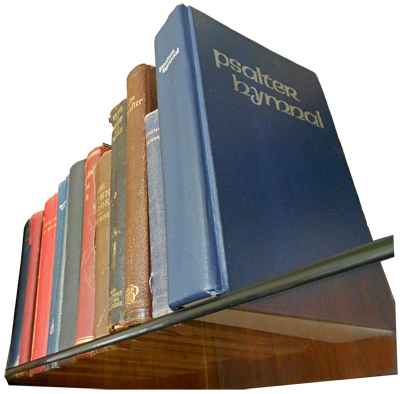 While the majority of our congregations have used the blue 1959/1976 CRC Psalter Hymnal for years, a growing number of churches use alternate songbooks such as the Trinity Hymnal, the Trinity Psalter, or the Book of Psalms for Worship. 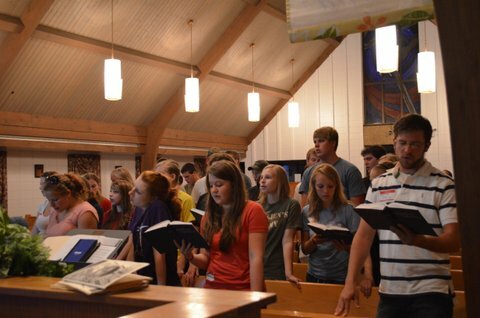 Some churches have transitioned into a more hymn-based pattern of worship, while many churches maintain the primacy of the psalter. Reflecting on such a broad spectrum, it is impossible to imagine that a new songbook for the URCNA can ever meet the needs and desires of every one of our congregations. Added to some of the other stresses the URCNA faces at this point in its seventeen-year existence, the subject of a new Psalter Hymnal raises further complications. Our federation’s painful departure from the liberalizing Christian Reformed Church has made us suspicious of denominational hierarchy and alert against hints of liberalism in our own federation.2 As we try to solidify our own unity, our attempts to unite with like-minded denominations have thus far been extremely cautious. Ideologically, we must combat mindless traditionalism in worship while quelling fears about the ethnocentricity often caricatured in Dutch Reformed churches. The process of adopting our first federational songbook (in collaboration with the Orthodox Presbyterian Church) confronts us at just this challenging and formative stage of the URCNA’s existence. Right now, perhaps the unhealthiest possible path would be to compel each church to discard its distinctives in favor of an across-the-board standard for psalm- and hymn-singing. I sometimes wonder if—for now—it would be as foolhardy to require our oldest churches to discard their blue Psalter Hymnals as it would be to coerce new congregations into purchasing them. Uniformity and unity are not the same thing. And true unity takes time. So, as a federation of churches from such diverse backgrounds and situations, how do we move forward? In particular, how do we produce a songbook that will unify us rather than dividing us? What follows are the humble thoughts of a first-generation URC member with little experience or wisdom to offer regarding the best course of action for our churches. Because of my comparative ignorance of the traditions and requirements of the Orthodox Presbyterian Church, the focus of this post may seem too narrow, for which I sincerely apologize. If you gain nothing else, I simply ask you to follow my chain of reasoning—at least as it applies to the URCNA—and see whether you arrive at the same conclusions. Let this be not an arrogant opinion piece, but a catalyst for deeper discussion. 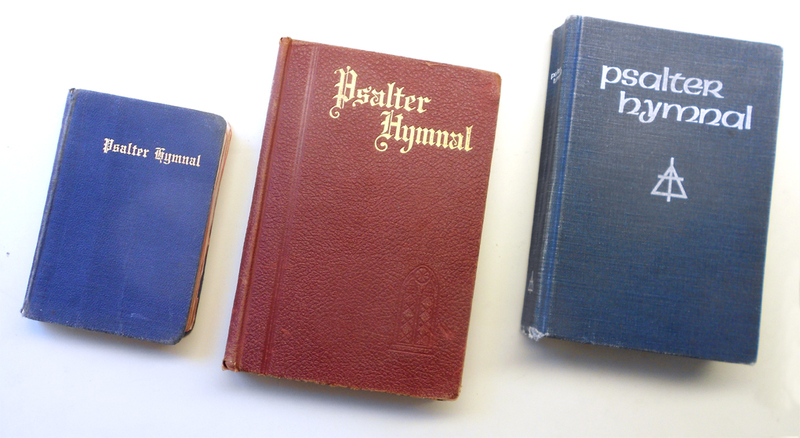 Although I cannot fully say that I “grew up” with the blue Psalter Hymnal, even my thirteen years in the URCNA have inculcated in me a deep admiration for the history and heritage of our churches. I am awed to think that when my home congregation sings Psalm 122 from the blue Psalter Hymnal, “My Heart Was Glad to Hear the Welcome Sound,” they sing it in union with their forefathers, who utilized this very song in the church’s fiftieth anniversary celebration in 1926. It blows me away to realize that the tunes for selections like “As the Hart, About to Falter” were composed at the request of John Calvin himself in the mid-1500’s—and, of course, that their psalm-texts were sung in Old Testament Israel. Am I of the opinion that the URCNA should scrap the entire Psalter Hymnal project and stick to the “Old Blue”? Absolutely not. For many reasons I heartily concur with multiple URC synods that, sooner or later, our federation must move past the CRC 1959/1976 Psalter Hymnal. Given the blue book’s many decades of service and the vast diversity of our churches’ perspectives, however, I am apprehensive of the consequences of a drastic musical transition at this point in the URC’s history. To compel our senior saints now to learn new words and tunes to psalms they have sung since their childhood presents a loss I am not sure the immediate benefits of a modernized psalter can outweigh. Please don’t misunderstand me: an accurate, literal, modern psalter is a noble goal. But if our churches are to remain united, the transition from old to new must be as gentle and gradual as possible. For this reason I am deeply grateful to the Songbook Committee for striving to preserve many of the favorites of the blue Psalter Hymnal, especially the selections whose lyrics have remained unaltered. In general, I’d rather see the “Old Blue” over-represented than under-represented in this first edition. Even if some of its imperfections must be carried over for now, there will be sufficient opportunities for improvement in future editions. Let it not be said that the Psalm Proposal offers no positive contributions to our psalm-singing repertoire—far from it! For instance, I was thrilled to notice the inclusion of several Reformed Presbyterian favorites such as 91B (“Who with God Most High Finds Shelter”) and 98A (“O Sing a New Song to the Lord”).3 As I continue my studies here at Geneva College (a Reformed Presbyterian institution), I am personally developing a love for their unique approach to psalm-singing. Such selections are indispensable: they contribute to the overall quality and Scriptural accuracy of our own psalmody while building unity with the RPCNA, our (Phase 2) sister denomination. However, for every new song in the Psalm Proposal, I would personally love to see a more substantial handful of Psalter Hymnal material as well. Including more well-known “standard repertoire” like PsH numbers 7, 22, 70, 95, 135, 137, 185, 201, 205, 230, 267, and 307—with few alterations, may I add?—could significantly lessen the doxological bump our churches will face. Admittedly, this is a tall order. Above the preferences of the churches, our Songbook Committee must be cognizant of the needs of their collaborators in the OPC, while maintaining a product that faithfully sets God’s Word to appropriate and beautiful music. Nevertheless, if the new Psalter Hymnal tears our federation apart rather than building it up, one of its critical purposes has failed. Whether our music comes from the blue Psalter Hymnal or any other songbook, singing God’s praises in a sin-cursed world can never be executed perfectly. Yet we are one in Christ, and Christ himself can give the United Reformed Churches in North America the humility and brotherly love we need to see this wonderful expression of unity come to fruition. If that true unity develops, the blessings that result from this project will make even its gravest challenges worthwhile. 1 Church Order of the United Reformed Churches in North America, 6th ed., p. 1. 3 Note that to access these links, you will need the password provided upon request to all URCNA and OPC members by our Songbook Committee Chairman, Rev. Derrick Vander Meulen. Email him at derrickvandermeulen@gmail.com. As we continue this brief journey through the proposed psalm section of the joint URC/OPC Psalter Hymnal, I’d like to spend some time today evaluating a few specific songs from its contents. Please keep in mind that much of this material represents merely my own biases and opinions; nevertheless, I hope it can at least serve as a helpful stimulus for your own reactions and recommendations. 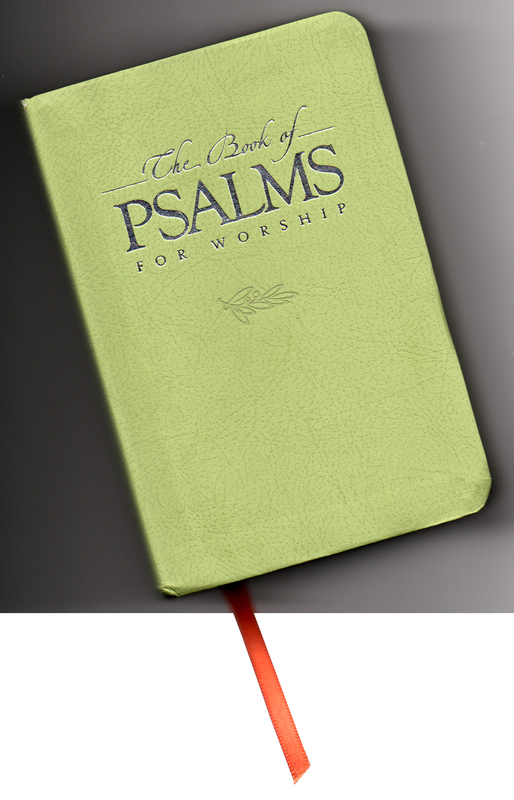 Let Psalm Proposal #1A serve as the poster-child for this collection’s many settings that exactly (or nearly) duplicate songs from our existing Psalter Hymnal. A careful look through “That Man Is Blest” reveals only one tiny textual change, from the archaic “Yea, blest” in stz. 2 to the more contemporary “How blest.” Everything about the tune, MEDITATION, including its Psalter Hymnal key and harmonization, has been preserved. You’ll also notice that gender neutralization is not an issue here—references to “that man” and “his works” have remained, in keeping with many modern Bible translations including the English Standard Version. “Thy Loving-Kindness, Lord, Is Good and Free” (Psalter Hymnal #129) has long been a favorite selection from the Psalter. Although its text is rooted in the reality of affliction, it looks upward to the Lord’s never-failing mercy. This text is one of those “Psalter Hymnal essentials” which the Songbook Committee has wisely included in the Psalm Proposal. However, the tune is another matter: the committee chose to replace EVENTIDE (“Abide with Me”), which appears in the PsH and has been used with this text since the 1912 Psalter, with ELLERS (“Savior, Again to Thy Dear Name We Raise,” PsH #326). While tune choices necessarily reflect some aspects of personal taste and preference, I can point to several objective reasons why EVENTIDE remains a more faithful choice to accompany this text. First, it is a highly familiar selection, having been used with this text for more than 100 years. Second, it possesses musical integrity as a conventional and well-proven hymn tune (though it should be noted that ELLERS is musically sound as well). Third, and perhaps most importantly, its associations with the text of Psalm 69 are deep and profound. Even as distressed Christians sing, “Needy and sorrowful, to Thee I cry,” the tune calls to mind the words of “Abide with Me”—“I need Thy presence every passing hour; / What but Thy grace can foil the tempter’s power?” Such a connection is lost when the tune of a psalm setting is needlessly changed. To be fair, the Songbook Committee has also made several commendable tune modifications to settings in the Psalm Proposal. For instance, 104B, “My Soul, Bless the Lord,” replaces the Psalter Hymnal’s HOUGHTON with the association-rich tune LYONS, which calls to mind the creation imagery present in the familiar hymn “O Worship the King” (PsH #315). Interested observers may also notice the introduction of several appropriate new tunes such as NEW CITY FELLOWSHIP for 51pr, “God, Be Merciful to Me” (in addition to the familiar tune AJALON). On the other end of the spectrum, some of what I consider to be the Psalter Hymnal’s weakest tune choices have been preserved in the Psalm Proposal. Perhaps the most dramatic instance is 13, “How Long Will You Forget Me,” whose bouncy tune FAR OFF LANDS seems totally unsuited for all but the last stanza of this desolate lament. Since pairing a psalm text with an appropriate tune is one of the most difficult challenges an editorial board can face, do not hesitate to share well-reasoned recommendations of this nature with the Songbook Committee. They welcome such feedback! This selected survey of the Psalm Proposal’s contents is far from exhaustive, nor is it a particularly well-refined exposition. However, if nothing else, I hope this blog post has served as a somewhat-helpful introduction to the many facets of the Psalm Proposal. Do you have any comments or concerns to share? What are your favorite or least favorite selections in this proposed songbook? I’d love to know!